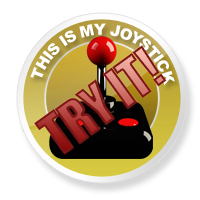 Review: Sam and Max Season 3 Special Review - Page 3 of 4 - This Is My Joystick! I don’t need to tell you that ‘The Tomb of Sammun-Mak’ ended on a cliff-hanger and from the word go, Telltale Games decide to run with that momentum. Seeing his buddies head sliced open and devoid of a brain, Sam completely loses control. Throwing off his trademark blazer, rolling up his sleeves and loosening his tie; Sam carries the lifeless lagomorph carcass under his arm and, with fury in his heart, snarls, barks and growls on his pilgrimage to face the one responsible. Finding refuge in the words of Flint Paper, Sam patrols the dark city streets in search of vengeance. Once again, ‘The Devils Playhouse’ is treated to another first from Telltale Games which puts a whole other spin on the games conversation system and ultimately how the game is played. In an effort to interrogate suspects, Sam can now interrupt their diatribe with a heavy slap across the face, and accuse them of lying. He can also threaten them with his gun, tell them to hurry it up if they begin to waffle or push them further on a particular subject if another suspect talked or the person he is interrogating has said too much and slipped up. The conversations prove that past the cartoony craziness people associate with TTG, they can produce serious dialogue and create real tension in any particular scene they choose. However, TTG also manage to stay faithful to the Sam and Max humour, occasionally creating tongue in cheek gags and poking fun at Sam’s emotional state. The innovations here are not as technical as those in Penal Zone and The Tomb of Sammun-Mak, and are rather more focused on character development, more notably Sam and the influence Flint Paper has had on him. 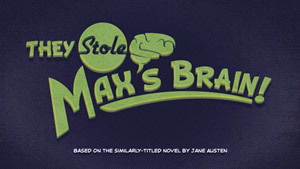 ‘They Stole Max’s Brain’ truly takes Sam to breaking point, and allows the player to see deeper into his inner psyche, getting an idea for how multi-layered his character is beneath the cool exterior. 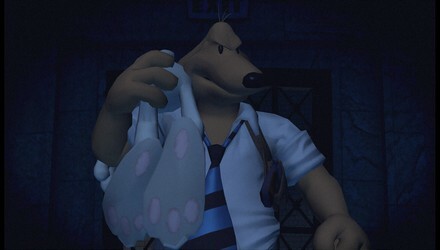 It also shows something more of the bond between Sam and Max and how both regard their relationship. For the first time ever, we get to see how their partnership thrives on an emotional level. TTG have done a great job in showing how rough around the edges and dejected Sam is through his new character model. You can see through the vein pumping in his head that Sam is angry and he will stop at nothing to get to the truth. The darkness plaguing Sam is beautifully recreated through his midnight shadow, his aggressive snarls, the way he bares teeth and his noir-esque monologues. His character transformation is certainly a bold undertaking by Telltale, quite frankly, the biggest of the season so far. Introducing a whole other dynamic and feel to a character after two and a half seasons is gutsy and determined. However, I personally love the spin they’ve put on Sam and feel it’s well suited to the premise of this season. This isn’t a normal case that both dog and lagamorph have stumbled upon and the cracks on the surface really show the toll it is taking. 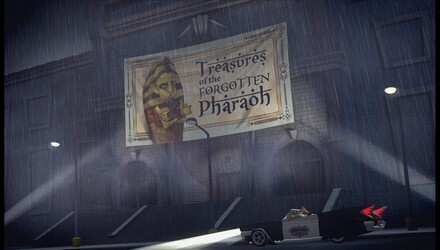 The episode doesn’t start out via the traditional means as Telltale have introduced a very different style to their game with Sam driving in the Desoto by night, a dead Max sat in the drivers seat, moving from one suspect to the next. Each time Sam approaches the suspect, a cinematic accompanies his entrance in a foreboding way. There is a genuine atmosphere at the beginning of ‘They Stole Max’s Brain’ which has both the ability to give you goosebumps and elicit a guilty snigger. That atmosphere is also beautifully married with the sound as the music is very well suited to the noir-esque detective feel that Telltale captured in the opening moments of this episode. Sam’s poetic monologues, brooding over the horrific attack on his partner really fit well together with the moody music hallowing in the background. The voice actor for Sam has also stepped it up a notch, taking the soft southern accent he is renowned for and really flared up his nostrils, adding some bark to his voice. This completely helps the player get into the mood of this episode. Unfortunately, just as you start to come to terms with the theme of the episode, TTG turn the wheel 360 degrees. I love the concepts Telltale have placed in the episode, even though I felt the first act could have been more interactive. I liked the hard-edged look and feel to Sam, strangely, it suits his usually zany, happy-go-lucky character and it completely changes your perspective on him as a protagonist. Yet, going into the second and third act, the narrative arc and structure of the episode becomes entangled, convoluted and seems to lose its way. To put it in perspective, the beginning of this episode is a real tease for what has all the makings of a great story that dares to walk the line with the likes of Discworld Noir, Tex Murphy and even Max Payne, but then is quickly jolted back to everything we come to expect from Sam and Max and the attempts at syncing both together really don’t quite fit. I’m as much of a fan of the Sam and Max style as the next person, but ultimately, its as disjointed as it sounds and unfortunately, the differences were too radical for me to ignore. I understand that TTG are telling one large story with this season and are setting the scene for the remaining two episodes, but I truly think they missed an opportunity with this episode and could have done something more with the dynamics they went to such lengths to introduce. Don’t get me wrong, the conversation system will still be involved in later stages of the episode (in part) but it is treated in a completely different way and after what we’ve already been treated to, it feels more tacked on than inspired. Perhaps I’ve been too spoiled by the brilliance of this season so far as this is by no means a bad episode, but unlike the previous instalments, this episode really does require you to have played both Penal and Tomb to understand what’s going on, as the events in Max’s Brain are structured and defined by what happened in both of those games, and is the first game this season that isn’t mostly self-contained. This is understandable and important for the progress of the season as it stems past the halfway point and heads toward its conclusion. In two episodes, Telltale have managed to establish characters in Season 3, they’ve got back story and they’ve got established concepts, now all they need to do is continue the foreboding arc that the narrator seems keen to remind us of at regular intervals throughout the season. As a fan of the season, this was still an essential purchase for me, simply to continue on from the shocking cliffhanger at the end of Tomb and to see just where the season is headed, but also because I got a glimpse and a feel into how much Telltale understand Sam and Max, probably more than Lucasarts ever did. The innovation here is character development, in setting a mood and progressing a story. Unfortunately, I just can’t help but feel Telltale could and should have done more with the way they opened this episode. They could have been bolder and made it more interactive, adding in a deeper interrogation system, some more investigating, more locations and clue finding with the COPS, but instead they move away from the best part of the episode almost too quickly and change the ideas driving it so much that you’re left feeling conflicted and confused. Even though I’ve spent a good chunk of this review talking about the opening act, it serves as little more than a mini-game in the grand scheme of ‘They Stole Max’s Brain’ which really disappointed me. It’s almost as if TTG weren’t sure whether this was a good idea or not and were scared to push it any further in case they elicited rage within their fanbase and lost the meaning of Sam and Max completely. Unfortunately, this has worked out more detrimentally for the episode rather than beneficially and killed some of the heat this saga has currently been ablaze with.